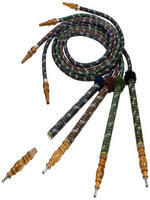 The Dragon Hose by Vapor Hookahs is on fire! 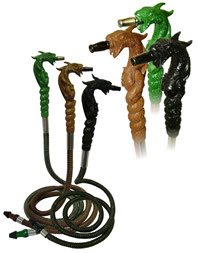 This hookah hose is designed to look just like a dragon and will make any hookah look amazingly enhanced. It comes in a variety of colors to accent any set up and taste. The Dragon Hookah Hose is super easy to pull from and offers ease of smoking thanks to the 90 degree angle on the handle! 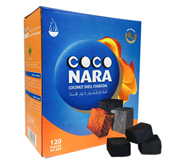 It is also very easy to wash and made to last a very long time. Disclaimer Please note that the Dragon Hose handle may vary in style than as pictured. Please contact customer support for further clarification if necessary.